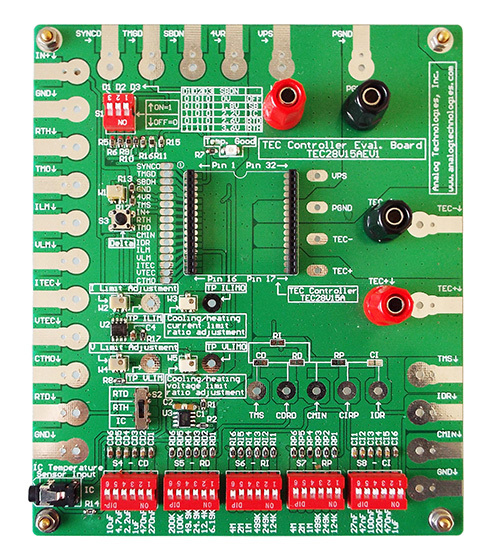 This evaluation board, TEC28V15AEV1, is designed for evaluating the controller TEC28V15A conveniently. It is recommended to read this application note with the controller datasheet which provides more detail information about the specifications and application guidance for the controller. The main purpose of using the evaluation board is to let the controller drive a voltage configurable unbreakable dummy laser diode on the board to emulate users� actual expensive laser diode with a programmable current.